Firstie Favorites: Wild about Word Work!! Do your students just LOVE word work?? Mine do!! I try to keep a delicate balance between paper/pencil based practice and very hands on, interactive materials!! Take a peek at some of our favorites!! In many of the photos in this post, you will notice small, laminated word list cards. These are our weekly spelling words. 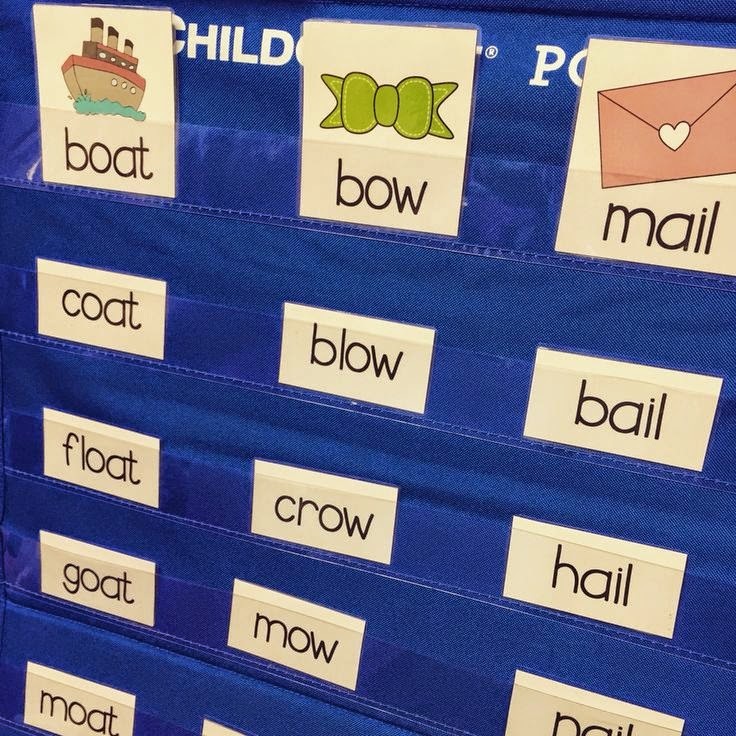 The little cards allow students to take the list around the room with them and they make it convenient for students to practice their weekly words. 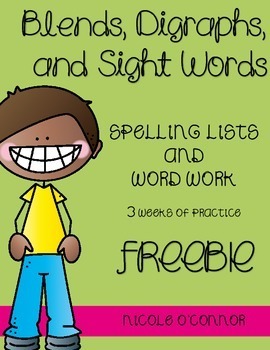 ALLLLLL of my spelling lists and homework are available for FREE in my TpT store. 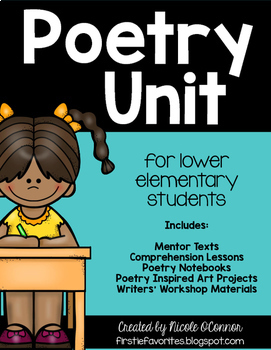 I created these lists in collaboration with my first grade team so I don't feel right about profiting from them. However, I still wanted to be able to share them with you! I hope that all of our hard work helps you to lighten your work load a little bit!! 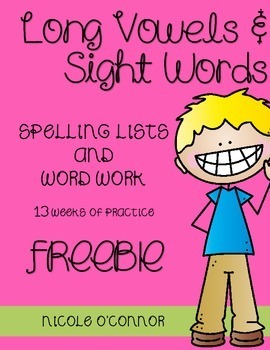 Here are the links to my word lists!! 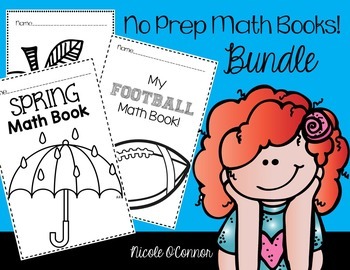 Click the photos to be directed to these FREEBIES in my TPT store! Please help me out by leaving feedback! Let's start with my students' favorite center! BEADS! I started using beads in my classroom about a year ago. I went to Michael's Craft Store and bought two different kinds of beads. I also got these cute little organizers for the small beads. I took this photo before I used the beads in my classroom and these little containers did NOT work out... the covers didn't snap shut and I had many spills of the beads... all over the floor.... Also, because the sections of these containers were small, students had a hard time getting out the beads that they wanted to use. After about a week, I moved the beads and pipe cleaners into old pencil cases. They have worked out well ever since!! 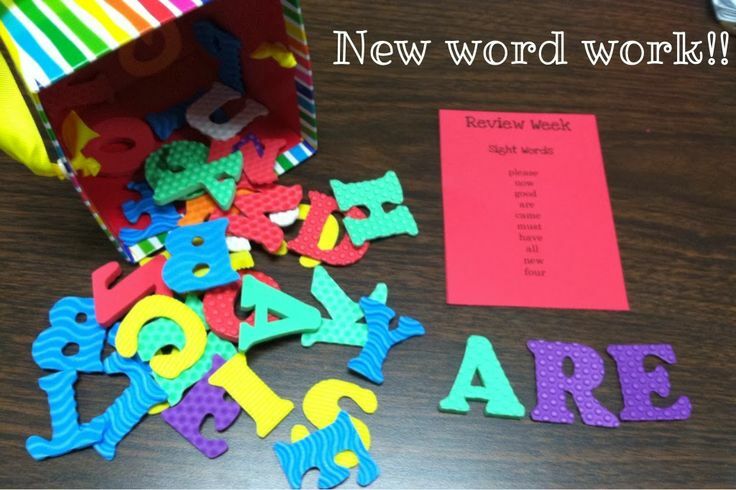 This center is a new addition to my word work centers!! 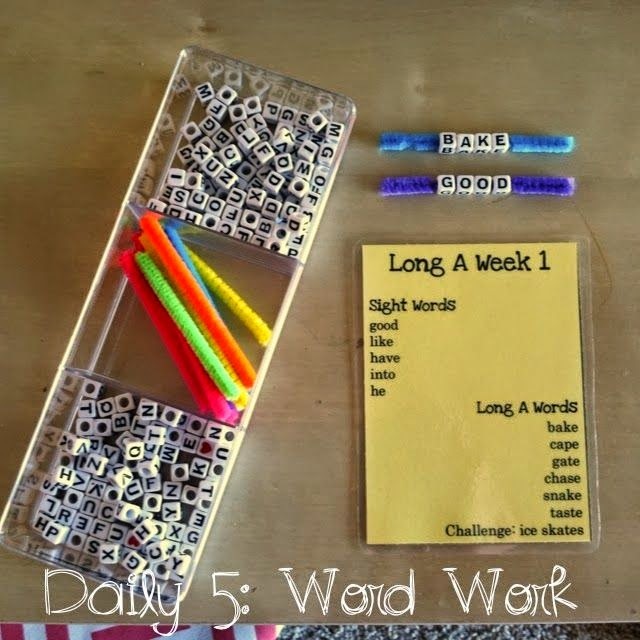 I use these pocket chart word sorts with my class as a whole group sorting activity at the beginning of the week. We revisit it during guided reading practice and I use it as an interactive word work center. 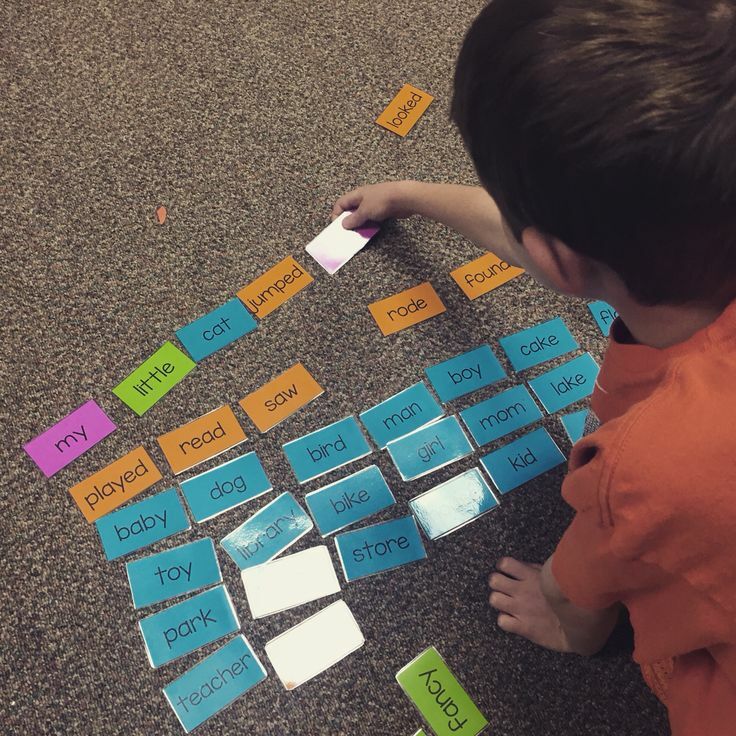 Students sort the cards by word family. Once the cards are sorted by word family, students put the words in ABC order. Super simple and fun! 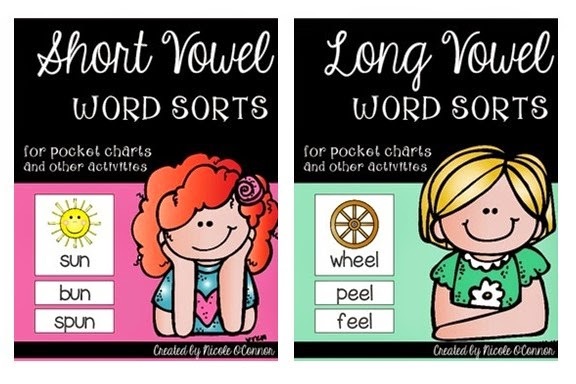 I have these available in my TPT store for both Long Vowel and Short Vowel words!! Want to try these out before you purchase the whole set? 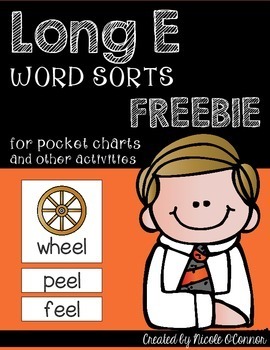 Grab my LONG E word sort cards for FREE!! 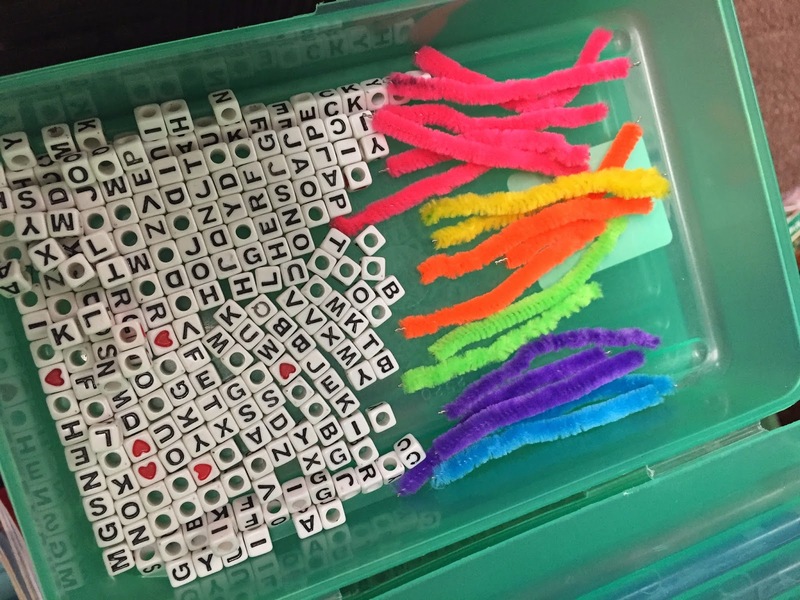 The other fun interactive center that I started using last year is foam letters. I found these on clearance at Michaels... not sure if they have the same exact ones anymore, but I know they have similar things!! 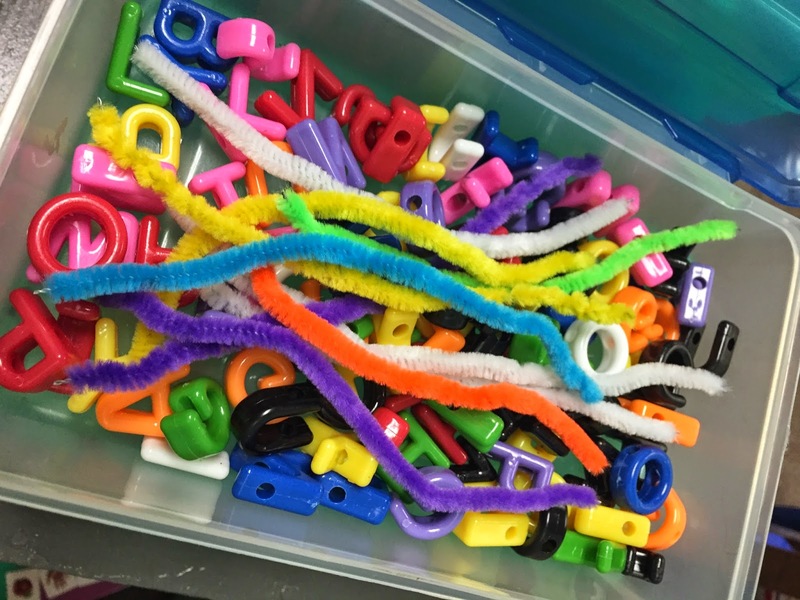 I find that any letter manipulatives work well with my firsties!! The key is variety... I switch out the centers weekly so they don't get bored with the same ones! Then, I reintroduce the centers a few weeks later! 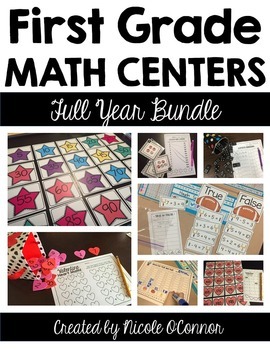 This is one of my newest, most popular centers!! Students take color-coded word cards to build sentences! Nouns, verbs, adjectives, and other words (articles, etc) are all printed on different color cardstock and laminated. Students explore different combinations of the words to build sentences. 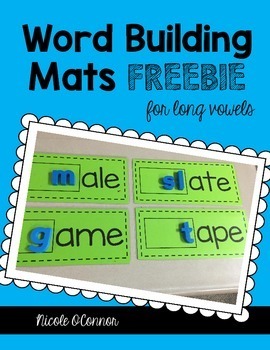 This center also includes a recording sheet for students to write their sentences on after they build them!! I also used these cards as a whole group... we took a "random" group of words in a pocket chart and arranged them into an interesting sentence together!! 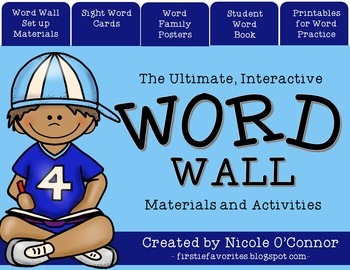 To grab this fun word work, click the photo below! 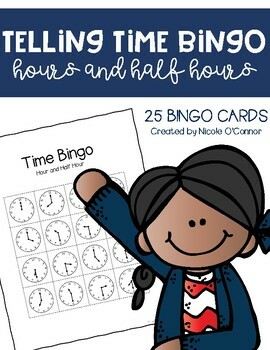 Here's a GREAT freebie that I found in Krista Wallden's TPT store!! Boggle boards!! Students search for 2, 3, 4, and 5 letter words and record them on a simple sheet! So fun!! Her freebie has 6 different boards! Here are some of my favorite pages from her product that we completed!! 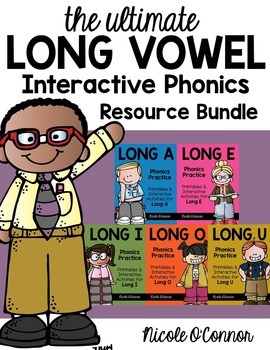 After seeing my students' success with these short vowel practice pages, I created some of my own for Long Vowels!! Take a peek! 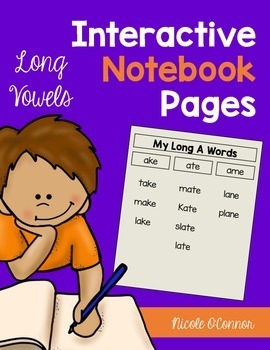 Grab my entire set of long vowel interactive notebook pages here!! We love using magnetic letters as a part of our word work routines!! 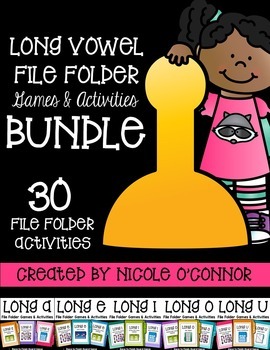 These long vowel sorting mats are perfect for my first graders as we explore long vowel spelling patterns! 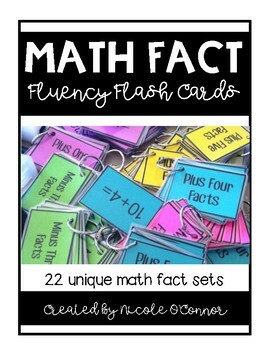 The majority of these cards feature the CvCe spelling patterns. Students add magnetic letters to the beginning of the word families to create words. Then, they write their words down on a simple recording sheet. 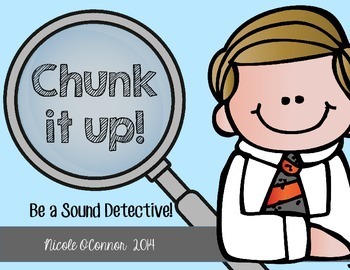 These are FREE in my TpT store!! Enjoy! I got this idea from Reagan Tunstall! She has a great set of Sight Word Stick sheets to go with her center!! 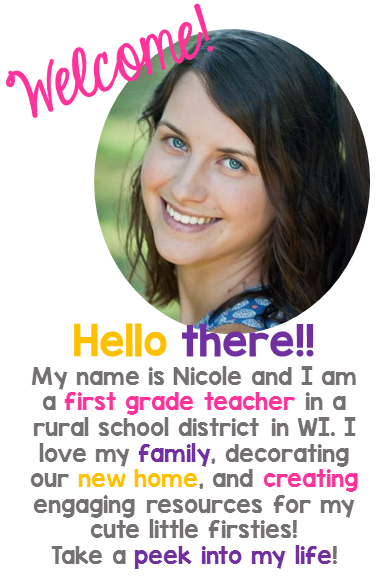 Visit her store to see her product!! Grab my Stick ABC Order sheet here!! Oh my gosh! 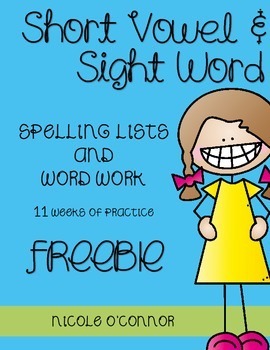 I feel like I've still only scratched the surface of word work!! I hope that you find these activities helpful and simple, just like I do! They have all been tested and LOVED by my students!! Great post, thanks for all the ideas! I'm going to use The Daily 5 for the first time next year, and this is SO helpful!! Thank you! Thank you for all the great strategies and resources. Great strategies/activities. 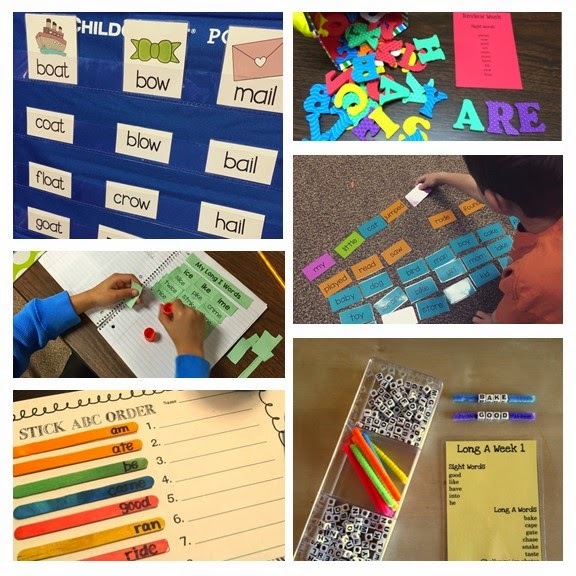 Thank you so much for sharing these resources. Great activities!!! Thanks for sharing! Hi! I'm new to Grade One and am looking at doing Daily 5 (with the same more structured approach as you mentioned in a different post). 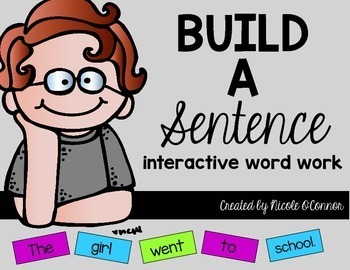 These activities are great but I am wondering more about how you get started; what words do you choose? Does each student get a different list? What would you mini lessons be like before and do they do multiple word works a day or move to different centre each day?